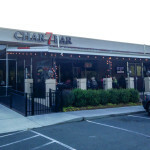 Here at The Charlotte Burger Blog we are always looking for that new type of burger. The one that pushes the boundaries of what could be called a”hamburger.” So when we heard there was a new Asian inspired burger restaurant in town doing just that, we had to check it out. 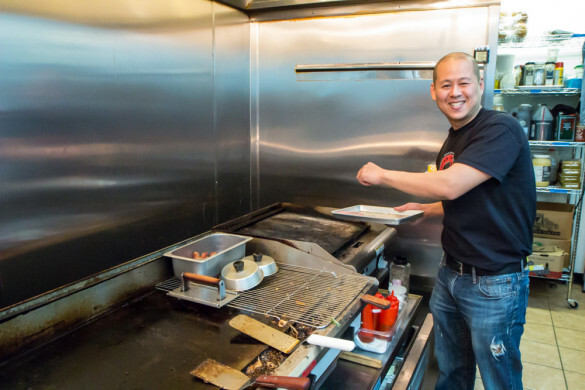 We sat down with Nom Nom Burger’s owner Tung Ngo and discussed how he has “Asianized” America’s iconic food staple: the hamburger. 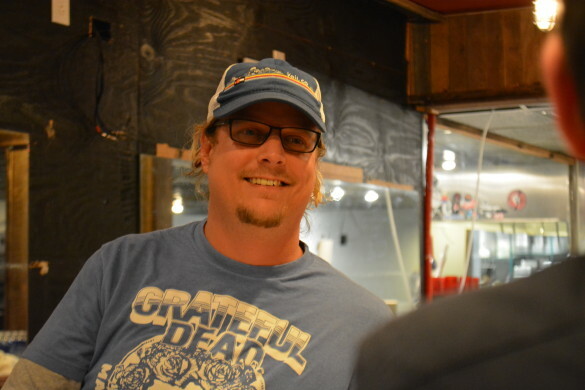 Charlotte Burger Blog: Hi, Tung. Thanks for talking to us. How about you introduce yourself to our readers. Tung Ngo: Hi. I’m Tung. I am a burger nut. I’m originally from Vietnam. I’ve been in the United States for about 32 years. I came here when I was 13. Being an immigrant, when we were first here really we didn’t have anything. Literally, we had just the clothes on our back. So, I had to work. I started working at a Chinese restaurant on Independence called The Imperial Garden. It was many, many years ago. I washed dishes on the weekend: Friday, Saturday, Sunday night. They paid me $80 a month. But, you know, back in the early 80’s, being 13, you’ve got to have something. But I really enjoyed food. Throughout the years I went to college, graduated, went to work at a corporation—the whole time I’m still working in restaurants just, you know, enjoying it. So one day, I said, “Hey, I’m just going to do this, I have to open one,” so I started my own restaurant in Lake Norman, called Sushi @ the Lake. That was in ’98. So between that and this, probably this is my seventh restaurant, always I’m into burgers. So, the last seven years or so I’m a general contractor. I build restaurants for clients, everywhere. I sold most of my restaurants. I kept one. I’m going along and I felt, I still have that inner itch, you know what I mean? It took a little while to put things together, but here we are. As far as burger-wise, our menu is not huge. But we try to stay true to the Asian concept, using Asian ingredients. Charlotte Burger Blog: So that’s the approach to “Asianizing” the American food, is to use Asian ingredients? Tung Ngo: Yes. You know, for many years people have Americanized Asian food, in some form or way. I’ve been in the sushi business for so long, and this time I wanted to do something different. My wife says this is my dream restaurant. We went all over the place when we were choosing our meat, and we tested seven different things. We chose Sterling Silver, because of the taste. We pay more for it, more than Angus. Charlotte Burger Blog: We saw that you listed Sterling Silver on your website. Can you tell us more about them? Tung Ngo: The reason I chose Sterling Silver is that we liked the product, it tastes better. 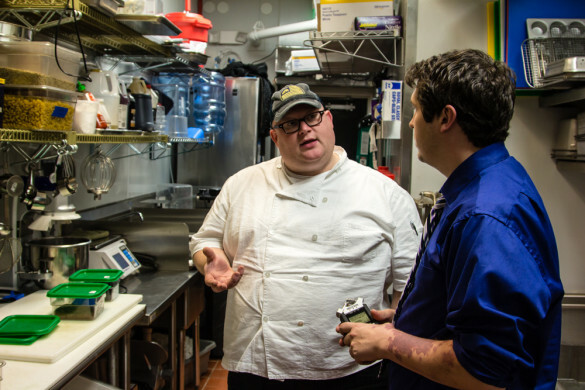 We called our food supplier and tested certified Angus, and we compared the two. We even had a company out of New York that brought 50% rib and 50% chuck. I thought, “Wow, amazing!” but it come down to the taste, and Sterling Silver was better. 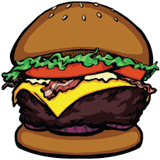 Charlotte Burger Blog: Can you walk us through your menu a little bit, since it’s different than a lot of places? 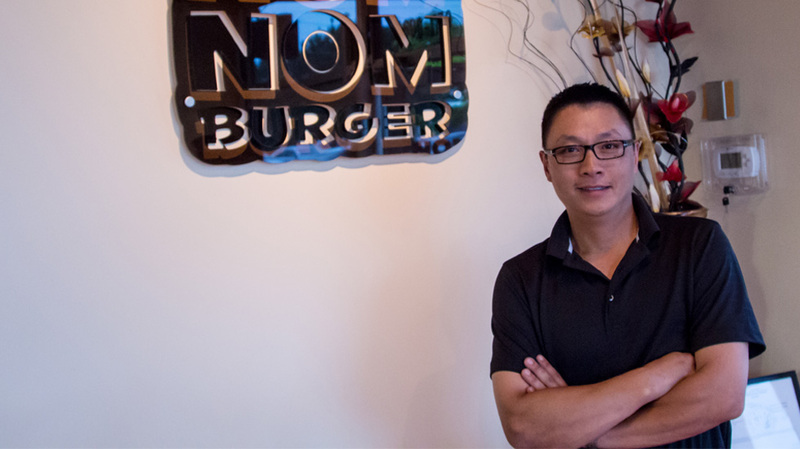 Tung: Okay, the first one is called the Nom Nom Burger. Basically, it’s the Japanese version of a teriyaki burger. We make all the sauce by our selves here—I make. Personally. We use fresh shiitake mushroom, which we saute with a little bit of butter and Mirin. And then we use caramelized onion and ginger marmalade. So far that has been our number one seller, just because of the name. To me, it’s the most well-balanced burger we have. The next one, that you should try, is the Kalbi Burger. It’s a Korean based burger. Korea is famous for the rice dish in a clay pot called Bibimbap. [Our burger has that] rice in a clay pot, kalbi beef, kimchi, which if you’re familiar with it, is fermented cabbage, a fried egg—there’s always a fried egg, sunny side up—roasted garlic, and seaweed. A lot of people like it. 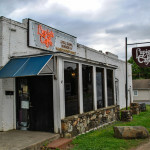 Charlotte Burger Blog: You have such an interesting menu, and it’s unique. What was the process like to develop these flavor combinations? Tung: To be honest, it took me two hours. I’m really a food snob. Let me take that back, I’m a foodie. My family was from Vietnam, and we were from a military background. I’m from South Vietnam, and after the war my father was put in prison. We escaped, and you’ve probably heard of the boat people. We were lost on the ocean for seven days and six nights and no food. We ended up in Indonesia on a deserted island, just like that movie with Tom Hanks…Castaway. And it happened to have a lot of coconuts. So we ate coconuts for days. That was where I began to learn about food. It’s a gift from the man upstairs that I’m able to go eat something and be able to tell what ingredients they use. Every vacation our family goes on is planned around food. My belief is that if a family eats together they stay together. And to today, I’m 46 years old, and every Friday night all my family will get to Mom’s house for dinner. So, when we started the menu I had already sort of planned what I wanted. I had to put the combination together so that it made since. At that point Tung invited us in to try some of his favorite “Asianized” creations. And, of course, we couldn’t refuse. Look for our review of Nom Nom Burger in the upcoming week. We would like to thank Tung Ngo for speaking with us about his work, life, family, and passion. We can definitely see that his past experiences are a driving force within him and we are humbled to be able sit down and speak to such an amazing person.